From left to right, Pamela Karpen, her sister, Deborah Sloan, and their friend, Lisa Singer. Written on their arms are the names of family and friends who had cancer that the trio runs for. By her own admission, Pamela Karpen isn’t a runner and, most certainly, not someone who runs marathons for fun in their free time. That said, on Monday, April 15, the Fairfield resident will find herself at the starting line of the Boston Marathon, running as part of the Dana-Farber Cancer Institute charity team. Karpen began running 16 years ago when her younger sister Jennifer passed away. For Karpen, the time running gave her a place to grieve. Eventually, in 2004, alongside her older sister, Deborah Sloan, Karpen ran her first of what would become many Boston Half Marathons. This is how she first became aware of Dana-Farber’s charity efforts. At the time, Karpen didn’t know anyone with cancer, but tried her best to support Dana-Farber. Shortly thereafter, her then 7-year-old niece Michelle was diagnosed with advanced melanoma. Cancer continued to impact Karpen’s life when her father, David Sloan, was diagnosed with prostate cancer in 2011. Treatments at Dana-Farber extended David Sloan’s life, but he passed away on the eve of the 2016 Boston Marathon. This led the sisters to volunteer at the marathon, which hatched the idea in Karpen’s mind of running the race for charity. 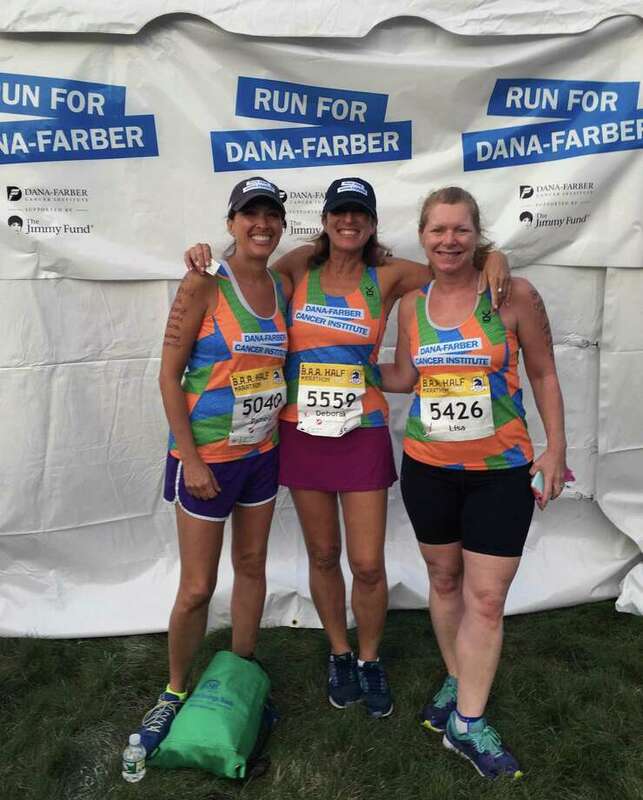 Karpen’s initial fundraising goal came in at $13,100 — a nod to her half marathon history. She’s since raised over $22,000 appealing to friends and family. Karpen owns the Bethel Cinema and has sold movie posters to raise money. Beyond the fundraising, there are the physical demands and discipline that comes with training for a 26.2-mile race. When she runs, Karpen includes the names of people affected by cancer on her arm. Unfortunately, as she notes, the list continues to grow. The memory of Karpen’s father continues to provide motivation even on the challenging days as the miles pile up.